The 2015 BMW 3 Series vs. the 2015 Mercedes-Benz C-Class: Which is Best for Daytona Beach Drivers? The new 2015 BMW 3 Series and 2015 Mercedes-Benz C-Class are both exceptional entry-level luxury vehicles. So which is the best choice for drivers in the Daytona Beach area? It all comes down to what you are looking for in a luxury sedan. Are you looking for outstanding performance and handling? Or are you in the market for a vehicle with remarkable style and an elegant, refined driving experience? Either way, you cannot go wrong with either of these fantastic sedans. 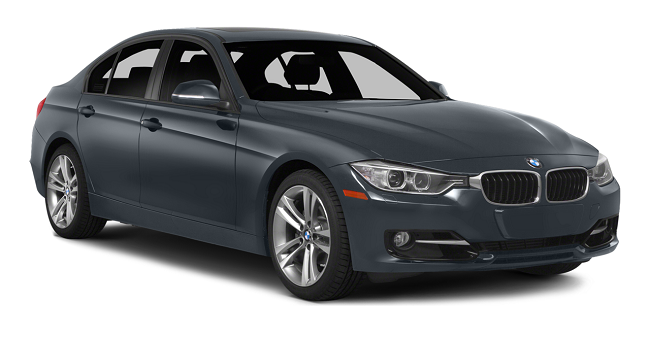 The new 2015 BMW 3 Series packs a punch in the performance department. It also sports smooth and fluid handling capabilities as well as a spacious, functional interior. Depending on the individual model and powertrain you select, you can get up to 45 mpg on the highway or opt for a powerful 300 horsepower at your disposal, proving that you don’t have to sacrifice speed for efficiency. The 320i Sedan‘s 2.0L TwinPower Turbo inline 4-cylinder boasts 180 hp and 36 mpg highway. The 328i Sedan pulls an impressive 240 hp and 35 mpg highway out of BMW’s 2.0L TwinPower Turbo engine. Eco-conscious drivers will appreciate the 328d Sedan, equipped with a 2.0L 4-cylinder TwinPower Turbo Diesel engine capable of 180 hp and 45 mpg highway. The 335i Sedan comes with a 3.0L TwinPower Turbo inline 6-cylinder engine, pushing out 300 hp and 32 mpg highway. The above models are also available with BMW’s xDrive intelligent all-wheel drive, for maximum control and cornering performance. Select 3 Series models come in hybrid, Sports Wagon, and Gran Turismo editions for even more choices in your driving experience. 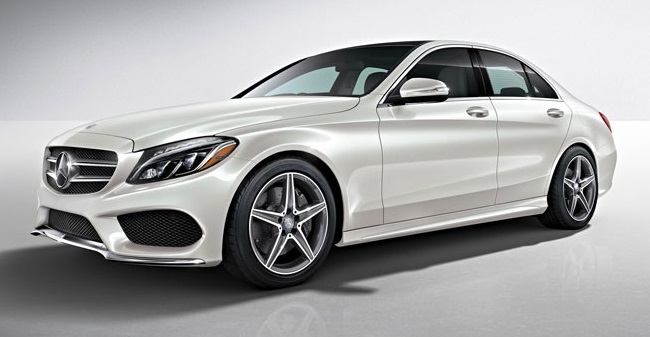 Drivers who are looking for a sleek, elegant luxury sedan with sharp lines, smooth textures, and an overriding sense of class should take a close look at the 2015 Mercedes-Benz C-Class. With a fine-grained accents and leather upholstery throughout the interior, the new C-Class is sure to impress drivers who have a penchant for style. With innovative new features like a touchpad control panel located near the base of the center console and a slim-screen display through which to control and monitor your entertainment, navigation, and other vehicle options, the 2015 C-Class leads the luxury sedan pack when it comes to convenience technology. Drivers can also monitor information on their speed, remaining fuel, and other vehicle systems via an optional Head-Up Display. Both the new BMW 3 Series and Mercedes-Benz C-Class are excellent choices for drivers looking to break into the entry-level luxury sedan market. You truly cannot go wrong with either vehicle–it’s up to you and your preferences. Lucky for you, you can take both of these amazing vehicles for a test drive today. If you are looking to get your hands on the wheel of the 2015 BMW 3 Series, then head on down to Fields BMW of Daytona today. If, however, you want to take the 2015 Mercedes-Benz C-Class for a spin around the block, Mercedes-Benz of Daytona Beach is your best bet. Feel free to contact us here at the Are man she towards to arrange a test drive for either model in advance!